Jaw Pain. Have you ever woken up with jaw pain? How about a headache that doesn’t respond to Ibuprofen or massage? Do you ever hear clicking when you chew? Or maybe your teeth are wearing away, getting crooked, chipping or even cracking. If you are experiencing any of these symptoms, it is very likely that you are suffering from TMJ syndrome. TMJ syndrome is an acute or chronic condition affecting the temporomandibular joint (TMJ), or joints of the jaw. The temporomandibular joint (TMJ) is the hinge joint that connects the lower jaw (mandible) to the temporal bone of the skull. 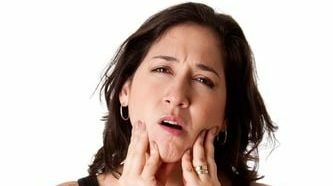 Temporomandibular disorders (TMD) occur as a result of problems with the jaw, jaw joint, and surrounding facial muscles that control chewing and moving the jaw. This joint is immediately in front of the ear on each side of your head. The joints are flexible, allowing the jaw to move smoothly up and down and side to side and enabling you to talk, chew, and yawn. Muscles attached to and surrounding the jaw joint to control its position and movement. Injury to the jaw, temporomandibular joint, or muscles of the head and neck such as from a heavy blow or whiplash can cause TMD. 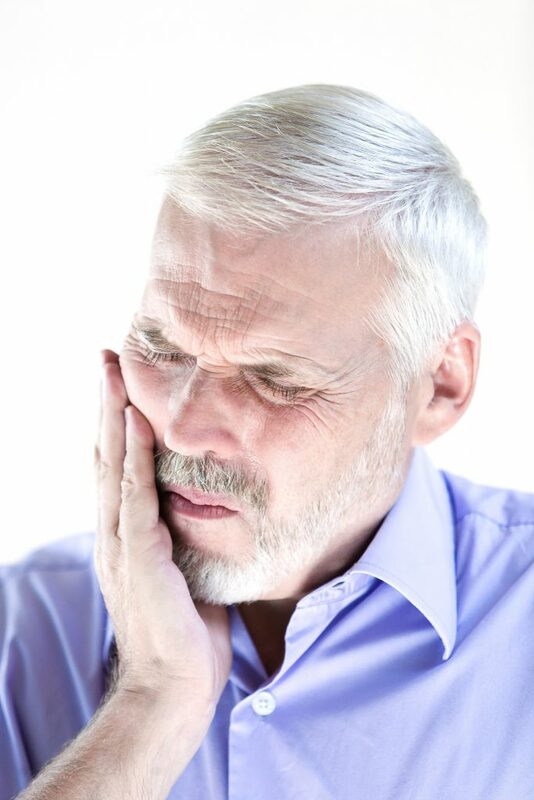 Grinding (Bruxism) of the teeth, which puts a lot of pressure on the TMJ. Stress, which can cause a person to tighten facial and clench the jaw. If TMJ syndrome is diagnosed, you will have your neck muscles massaged, stretched and evaluated for weakness. If muscular weakness is evident, you will receive exercises to correct it. Your posture will also be evaluated and corrected if necessary. Then your Chiropractor will focus on the jaw. Relaxing the tight jaw muscles, the (pterygoids), requires going into the mouth with the doctor’s gloved finger. The muscles are then massaged until they relax. The good news is that it doesn’t take much to relax them on each session, approximately two minutes. The first couple of sessions can be a little uncomfortable, but over time the muscles become looser, freeing up the jaw. Once the pterygoid muscles are relaxed, the jaw regains an incredible amount of movement. The jaw becomes lighter and pain subsides significantly. Popping and clicking reduce immediately, and can be completely eliminated over a few sessions.